Unified Messaging, Smart Notification, Call Center Services, Mutare, Inc.
Mutare's unified messaging, smart notification and call center services help increase sales, reduce costs and meet regulatory compliance. Mutare is what unified communications should be – fast, easy and guaranteed. For more information visit us at www.mutare.com. Ben Crown is the President of Mutare Software. Ben started his career with Deloitte Haskins and Sells after earning two degrees in accounting from the University of Illinois. 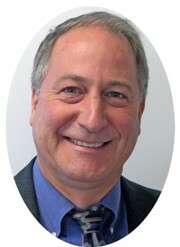 From there, Ben has been involved with the management of software organizations since the creation of the IBM personal computer. In 1989, he started Mutare Software, which over the years has become a leading developer of telephony and web based applications. 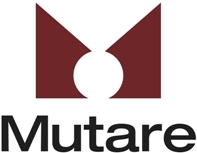 Now, almost 25 years later, Mutare continues it’s leadership role, delivering hundreds of advanced software applications, including unified communications, secure notification and a wide variety of voice enabled solutions targeting healthcare, government, and business needs. CEOCFO: Mr. Crown, what is the concept behind Mutare? Mr. Crown: Mutare has been a developer of software applications for 25 years now, focusing on the areas of unified communications and notification applications. CEOCFO: Why that focus today? Mr. Crown: 20 years ago, we were pioneers in voicemail. At the time, voice mail systems included an auto attendant that could answer the phone and direct the callers according to their information needs, for example, to check their bank balance or the status of a delivery. We have been writing voice applications that connect the caller to information and empower the individual to do more with less time expended. As technology has evolved over the years, the things we can do have become more robust, like adding speech to text (STT), so when you get a voice message, we transcribe it and send it to you in email, or a text, or send it to your instant messaging alerts. Voice traffic has diminished over time as this next generation is more text-focused, but when something is important you still call and that call ends up in voice mail unattended. Being able to get people information right away in the way they want it is very important and lets them be more productive. CEOCFO: Talking about voice to text, how do you get it right, so few do? Mr. Crown: I tell people we are not looking for a stenographic transcription. We are looking to give them the gist of the message and let them discern if the message is important, allowing them to act on it right away…like a customer problem, a new customer acquisition, or something that just sits there and is not as important. I find that while specific words will be transcribed incorrectly, I can look at the overall concept of the message and I generally understand who it is from and what they want. In my judgment if you get ten messages and only have to listen to one, the application is 90% effective. Mr. Crown: Around the world there are over a million users of our EVM, which is our Enhance Voice Mail and our speech to text solution. Sales people, executives, and travelers often get the greatest advantage as messages show up in their email inbox or as an IM instead of sitting dormant in their voice mailbox with that red light on their phone. In essence, with EVM, the message waiting light is a concept of the past. Now, voice messages get stored in email so you have one place to go for all your information. In some contact centers there is a message depository when the center is closed. Using STT, after that message is left, it can be transcribed and delivered to an after-hours or backup agent. Agents can read the message in about a quarter of the time it takes to listen to it. Therefore, it makes contact centers more efficient and agents more effective. Anyone that needs to be responsive can benefit from the STT technology. Mr. Crown: There are a few players in the industry, but in the corporate world there are not many companies that are offering speech to text solutions on the existing infrastructure. One thing Mutare does is take the modern technology and leverage it with the existing investments you have already made. CEOCFO: Do companies purchase directly from you or are you working through partners? Mr. Crown: We work both ways. We have a large business partner network where the majority of our sales go through. We also have selective accounts that we work with directly, usually because they are looking for some kind of advanced integration or special capabilities. For a quick example, in a campus environment, you see those blue lights, the emergency poles that are out in the parking lot if something goes wrong. We say, “Why should someone have to run to one of those poles?” Everyone seems to have a smartphone today, so wouldn’t it be nice if there was an security application in which you pressed a button asking to be monitored, either to a destination, or for a continuous period of time so security can keep an eye on you. When you get there, you hit a button that says you are safe. We can change behaviors in the way applications work, and in examples like this one, make people safer. CEOCFO: Would you tell us about your work in the healthcare industry? Mr. Crown: In healthcare there are great changes happening. For example, with the Affordable Care Act and related new regulations, hospitals are being judged based on the quality of service they provide to patients. There are a number of Mutare solutions designed to enhance that patient experience. We have new methods for patients, nurses and doctors to all communicate securely. Because text messaging in general is not secure we have engineered our solutions to be HIPPA compliant, encrypted, and secure. We make sure that if we are sending you a message you get it! If there is a problem, we keep trying, or escalate. We make sure that it is easy for you to reply so that we can close the loop. Then, we track all messaging activity to document that everything works as it should. It is the patient engagement experience that we are very focused on. We believe that because we have great integration capabilities with the ability to take a mobile application and tie it to a health database, we can offer really sensational solutions for our healthcare clients. CEOCFO: Are people who would be engaging with you aware of the Mutare name? Mr. Crown: We have established a great reputation in our space for our service. I brag that in my operations team, I have no turnover in over two decades. That enables us to provide stellar customer service to our customers. We work with all the latest and greatest technology, but because we have been around so long and have such a great service record, when we partner with an organization, they can be confident that we will be around to make that application work and enhance it for years and years to come. Customers, very well known Fortune 500 companies around the world, use us, are familiar with us, and love the solutions that we deploy. Mr. Crown: Technology keeps moving in a faster pace, so you will see more and more applications, like when Apple incorporated Siri so you could interact by voice with your phone. You will be able to do that with specialized applications. In healthcare, you will be able to talk just to an application and it will do transcription, send the appropriate messages to the right people, update your health record and get you all the information you need. We are very flexible, so we just like offering people a choice and making sure that no matter what they want, we can deliver a solution with which they’ll be happy. I really think the service aspect is what sets us apart. If you have great technology, great partners, and a great service team, you can deliver outstanding solutions for your customers on a long-term basis. CEOCFO: How do you foster great customer service? Mr. Crown: You find good people and you take care of them. You let them know what is important and ensure they share the values of the company. I tell new employees they are part of the Mutare family and it is our desire for the Mutare business card to be the last one they ever carry. Everyone at Mutare believes in a common mission, which enables us to not only do great stuff today, but positions us well for the future. Mr. Crown: We are based in the Chicago area but have regional representatives and do remote implementations throughout the United States and on five continents. We have been able to use our installation and support model throughout the world and for our customers…it works very well. CEOCFO: Is international a growing arena for you? Mr. Crown: In the international market, there is greater text usage so our secure notification solutions work well to taking voice and delivering text however the recipients are interested in receiving it. We have very large international partners who have deployed tens of thousands of licenses of our technology and are very happy. CEOCFO: What surprised you as you have grown and developed Mutare? Mr. Crown: While technology changes very fast, the basics of providing good service over the last 25 years have not changed…you listen to the customer, understand what their challenge is, and design great solutions. The technology is much more sophisticated and the results are much cooler, but the basic concepts of serving your customer bear the test of time. CEOCFO: Final thoughts? Why pay attention to Mutare? Mr. Crown: We like to describe ourselves as one of the easiest partners to work with and we’re focused on delivering bottom line performance improvements to organizations. We have a partnering mentality, meaning that we are ready to share risks, rewards, and make sure that we find the outcome that is going to work for the customer/partner that we are working with. We are often told “this was the best implementation I ever had,” or “you’re people are sensational.” Those are the comments from our customers that I love hearing and continue to strive for as we move forward into the future.